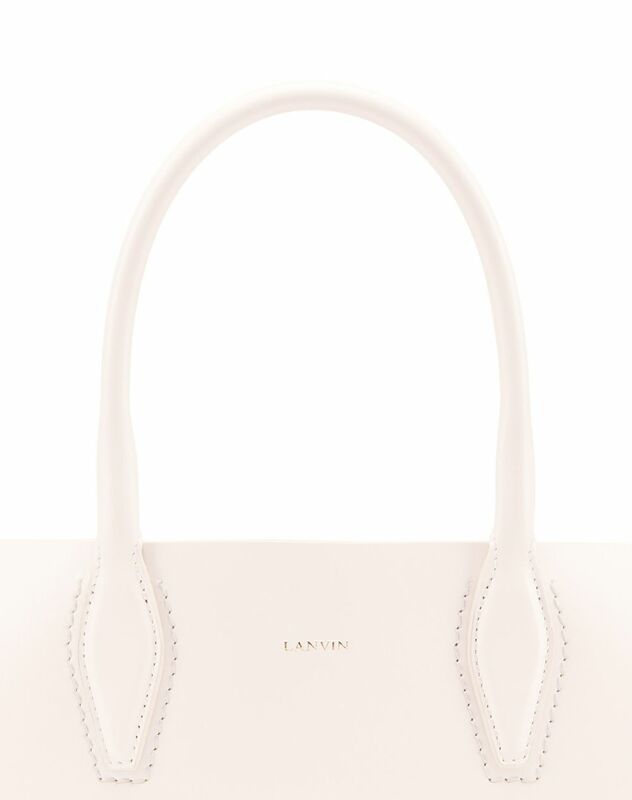 Small "Journée" bag in smooth light pink calfskin leather, gold "Lanvin" logo detail, two inner compartments separated by a large zippered pocket with a "JL" two-way pull, two inner patch pockets, detachable shoulder strap and beige calfskin leather lining; can be carried by hand or across the body. 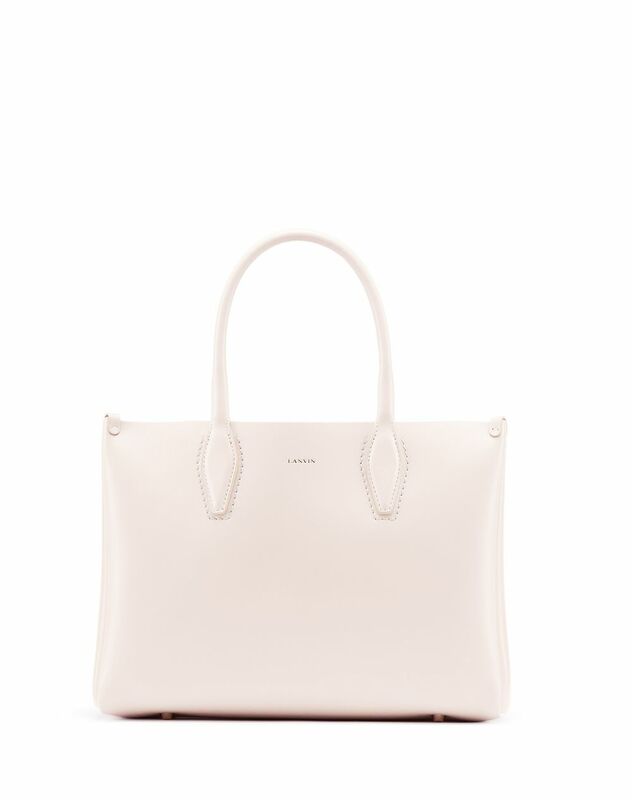 For the Spring-Summer 2019 Pre-Collection, the small "Journée" bag is available in a light pink color, adding character and radiance to this timeless model. 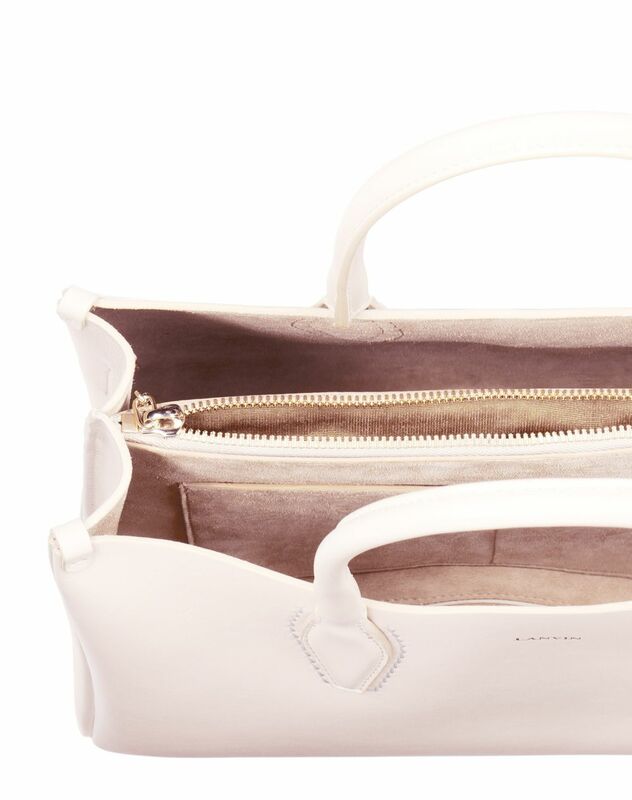 The modern and functional "Journée" bag can be used for any occasion, either carried by hand for a sophisticated look or across the body for everyday comfort. 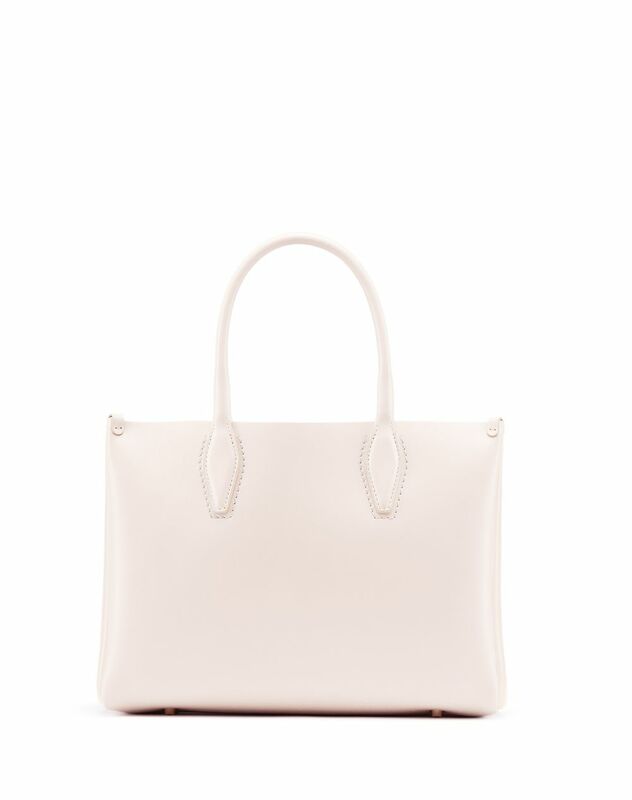 Subtly marked with the brand’s signature, this piece is a wardrobe essential, combining both luxury details and practicality. Main material: 100% calfskin leather. 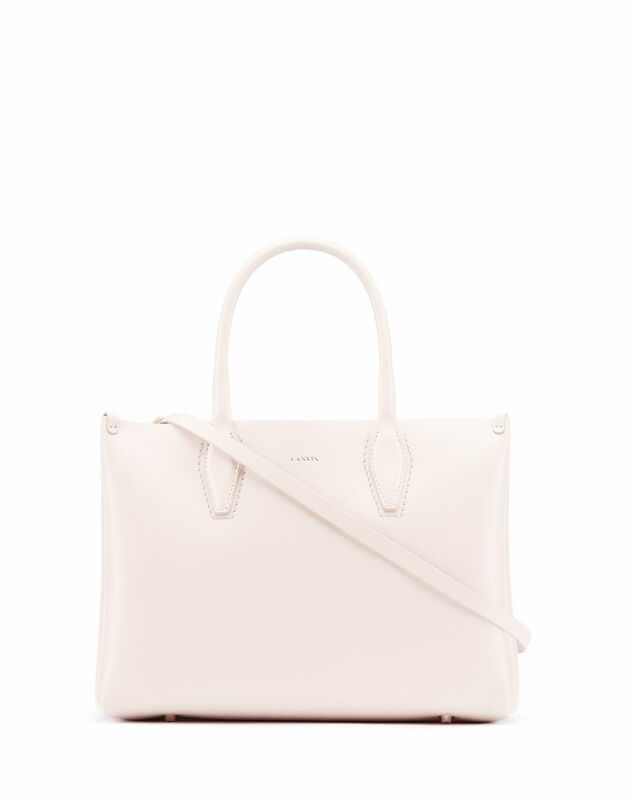 Lining: 100% calfskin leather. Depth: 4.3" Width: 11.8" Height: 8.3" Handle height: 5.1" Detachable strap length: 43.3" Detachable strap height: 21.7" Made in Italy.